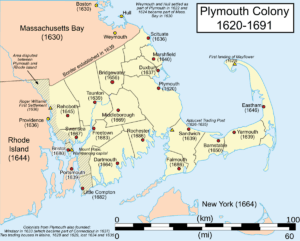 Plymouth Colony was an English colony in Massachusetts in the 17th century. The group consisted of English Puritans now known as the Pilgrims. 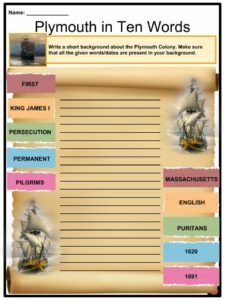 See the fact file below for more information on the Plymouth Colony or alternatively, you can download our 23-page Plymouth Colony worksheet pack to utilise within the classroom or home environment. 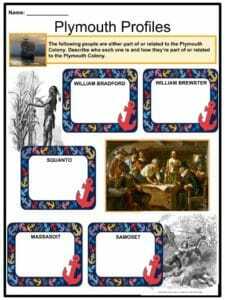 The Plymouth Colony settled in North America from 1620 to 1691. It was the first permanent colony of Massachusetts. Its capital settlement was located in what is now known as Plymouth, Massachusetts. It is one of the first successful British colonies in North America. The Colony consisted of the Pilgrims (English Puritans). A group of Puritans under William Bradford’s leadership founded the Plymouth Colony. The migrating Puritans are what we now call Pilgrims. 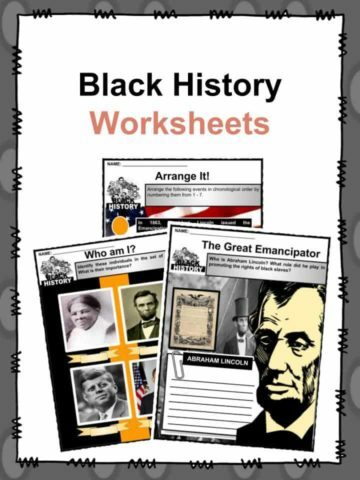 They were also led by John Robinson, William Brewster, and John Carver. The group faced religious persecution under the reign of King James I, so they escaped in pursuit of religious freedom. 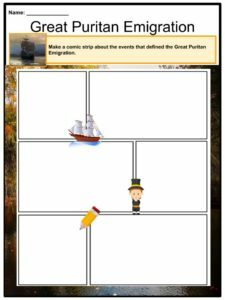 This was called the Great Puritan Emigration or the Brownist Emigration. They first fled to the Netherlands in 1609, staying in Amsterdam then in Leiden for over a decade. In 1618, William Brewster was pursued to be arrested by English authorities after he published ill comments towards the Anglican church and of King James I himself. This caused the colony to want to set sail again, along with the reason that they wanted to preserve their English heritage, and Dutch culture was foreign to them. In 1619, they were granted a land patent by the London Virginia Company. Because of the patent, they were allowed to settle at the mouth of the Hudson River. A group of businessmen called Merchant Adventurers financed their trip to North America. The financing helped them purchase the Mayflower ship and the Speedwell ship. In July 1620, they got on board the Speedwell ship. The captain of the ship was Captain Reynolds. The colony was joined by a second batch of people called The Strangers. The Strangers were launched by the Merchant Adventurers to guide the pilgrims and provide additional labor. The Strangers were led by Captain Myles Standish, Christopher Martin, and Stephen Hopkins. The Speedwell ultimately ended up unsafe for voyage because of complications it encountered on the first trips it took. 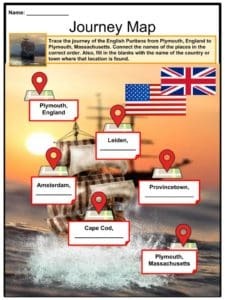 In September 1620, around 100 people boarded the Mayflower and departed Plymouth, England. As they were getting close to North America, they withdrew their original plan of settling by the Hudson River because supplies were running low and winter was coming. They were afraid they wouldn’t be able to make it. They landed at Cape Cod and anchored in Provincetown Harbour in November. They docked at Plymouth Rock, a name coined by explorer John Smith. Prior to their arrival, Europeans had already settled there. John Cabot had found Newfoundland in 1947. Samuel de Champlain had explored Plymouth Harbour in 1605. However, upon their arrival, there were no permanent settlements that posed serious challenges to theirs. 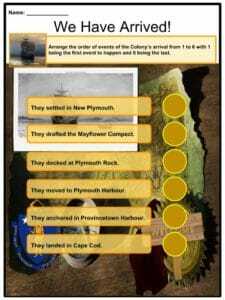 While on board, the colony drafted the Mayflower Compact. The Mayflower Compact served as the governing document of the Plymouth Colony. It was a contract signed by 41 Separatists. The colony moved from Provincetown to Plymouth Harbour. The area that they settled in was named New Plymouth in John Smith’s maps in 1614. They retained the name to pay tribute to Plymouth, England. It was December by the time they got to Plymouth Harbour and winter was harsh. More than half of the colonists died of diseases and from lack of food. It took one more month before the colony was able to build their settlement permanently. They settled in an abandoned village called Patuxet. For 30 years, William Bradford was the governor. Their first encounters with the nearby Native American tribes were not good. However, on March 16, 1621, they formally met with Samoset, a Native American who spoke some English. 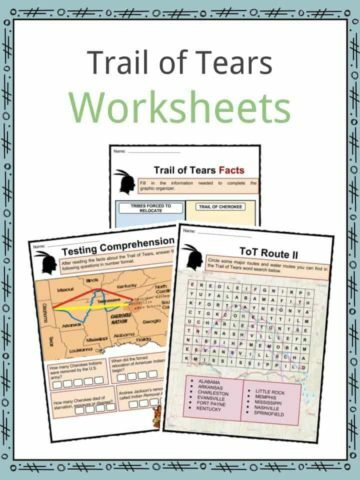 They also got to know about Massasoit, the Wampanoag Indian chief, and Squanto, the only Patuxet native left. 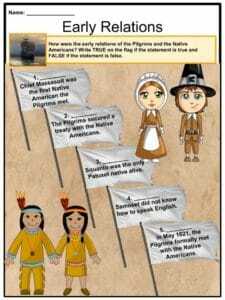 Massasoit and Squanto both had terrible pasts with the English so they were very doubtful. The colonists were able to secure a treaty with the Native American tribes, keeping them allies and in peace with each other. The yearly celebration we now know as Thanksgiving dates back to November 1621 when the Pilgrims held an autumn celebration. Today, Thanksgiving is more of a harvest festival than a religious celebration. It wasn’t until July of 1623 when the Pilgrims held a proper Thanksgiving Harvest Festival. They feasted on turkey, deer, birds, and fish. In 1621, another ship docked: the Fortune. 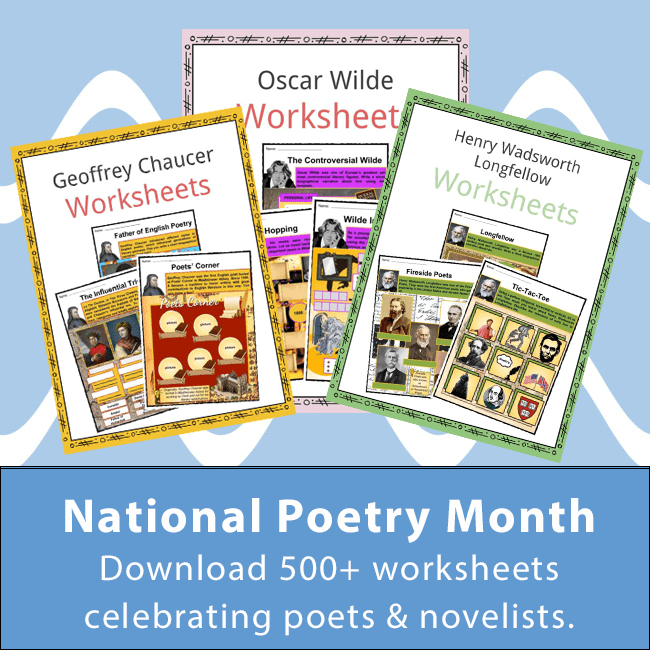 In 1623, two more ships arrived, namely the Little James and the Anne. 90 settlers were on board. By January 1630, there were 200 colonists. King Phillip was the son and heir of Chief Massasoit. 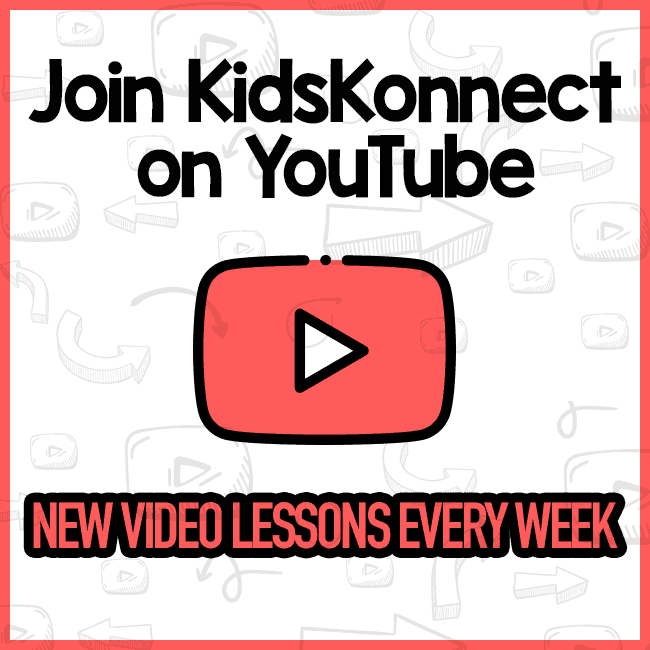 In 1665, their peace treaty with the Native Americans got annulled when they engaged in a war known as King Phillip’s war. The war ensued from the English colonists increasing in number and so their demand for land increased too. 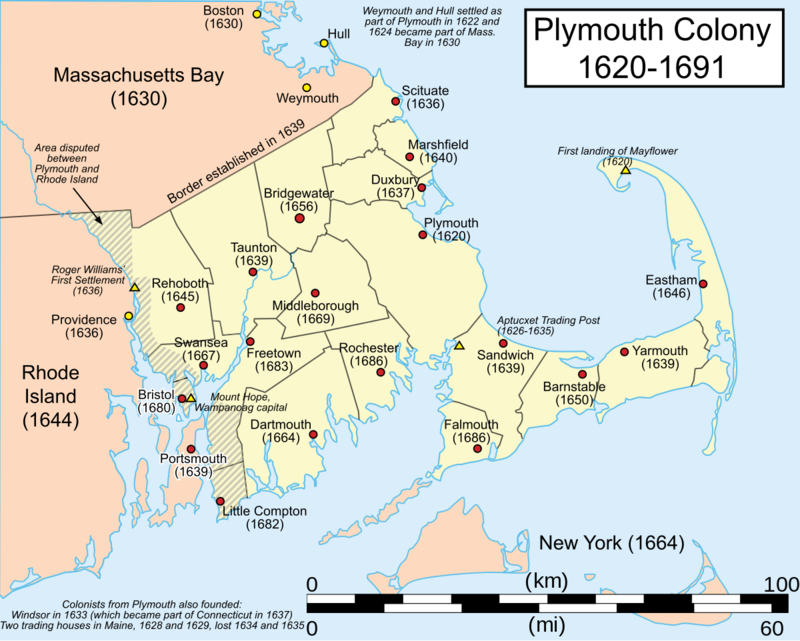 In 1691, the Plymouth Colony was combined with the Massachusetts Bay Colony and other colonies. 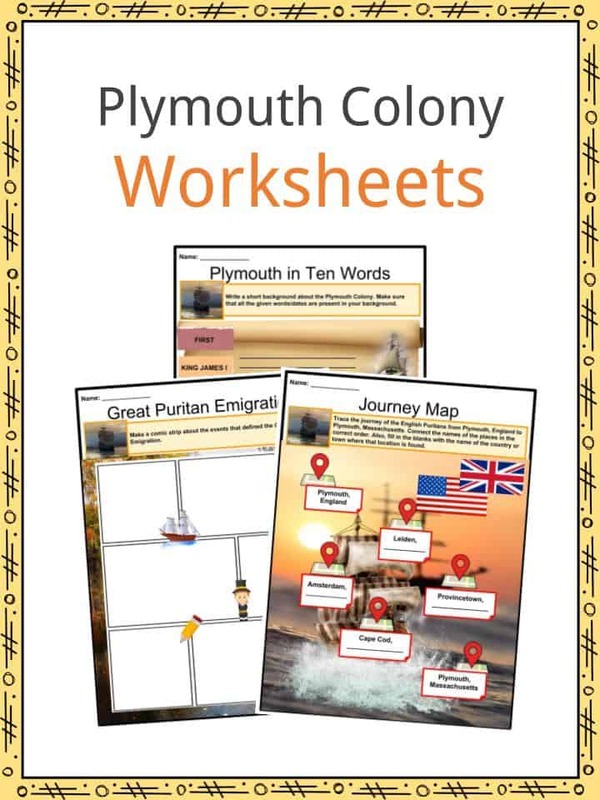 This is a fantastic bundle which includes everything you need to know about Plymouth Colony across 23 in-depth pages. 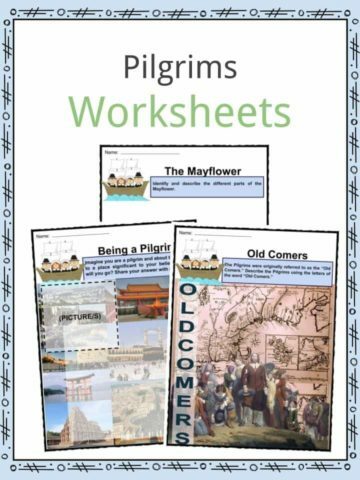 These are ready-to-use Plymouth Colony worksheets that are perfect for teaching students about the Plymouth Colony which was an English colony in Massachusetts in the 17th century. The group consisted of English Puritans now known as the Pilgrims.